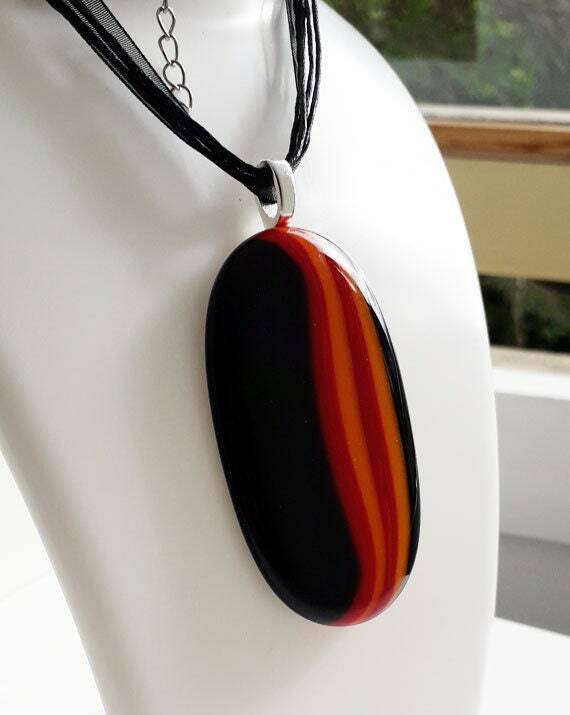 This is another one of my very large pendants. 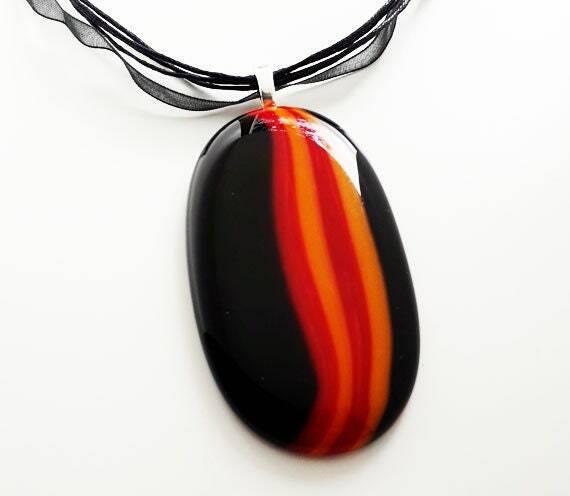 It's about 67mm long and 37mm wide, and is made from black, red and orange fused glass. 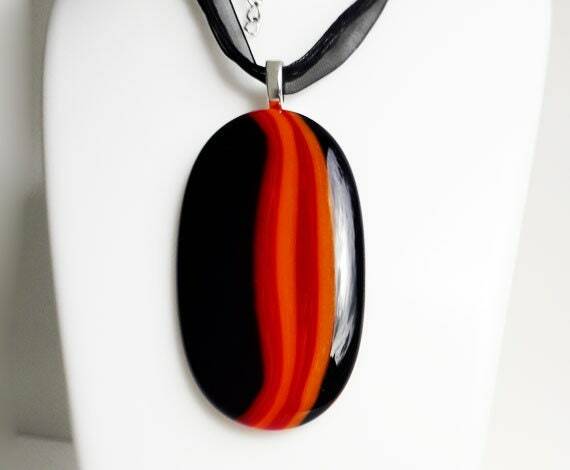 Despite the large size it's not especially heavy and is very comfortable to wear. 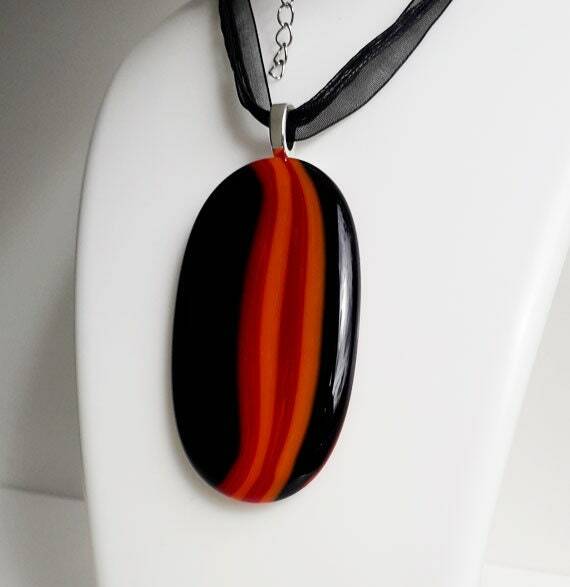 It hangs from a silver plated bail, on a black ribbon and string necklace.